In "The Muslim Claim to Jerusalem," I focused on the intermittent and mostly instrumental Muslim interest in Jerusalem ("Politics, not religious sensibility, has fueled the Muslim attachment to Jerusalem for nearly fourteen centuries") and at the end of the long article included a section titled "Dubious claims" where I listed four historically doubtful claims promoting the Islamic claim to Jerusalem (the Islamic connection to Jerusalem is older than the Jewish; the Qur'an mentions Jerusalem; Muhammad actually visited Jerusalem; and Jerusalem has no importance to Jews). "Abraham was not a Jew." "The Jews never lived in ancient Israel." "Jews never had any connection to Jerusalem." "Jerusalem was never a Jewish city." "There never was a Jewish Temple in Jerusalem." "The Western Wall is not a Jewish holy site." "The Tombs of Rachel and Joseph are actually Muslim sites." Feb. 6, 2003 update: For an example in English of the denying of a Jewish connection to Jerusalem, see Lima Nabil, "Jerusalem: 5,000 Years of Arab History," a translation from the Jordanian Arabic daily Al-Ra'i. In case you were wondering, those "Arabs" of five millennia ago were the Jebusites. 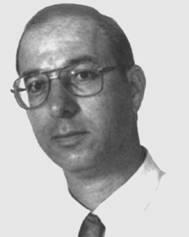 Yitzhak Reiter of the Hebrew University of Jerusalem. Rejecting the historical fact that Al-Aqsa mosque was built by the Umayyads in the seventh century, and replacing this with a myth, dating from the early years of Islam, that Al-Aqsa was built by Adam 40 years after he constructed the haram in Mecca (i.e., this took place close to the seven days of creation). Other accounts appearing in the Waqf administration offices in Jerusalem attribute the building of the mosque to Abraham and Solomon. Muslims are dropping use of the standard name given to the Temple Mount complex - Haram al-Sharif, which alludes to its status as the third holiest site in Islam – and reverting to exclusive use of an earlier name, Al-Aqsa, which appears in the Koran. The surroundings of Al-Aqsa mosque are not narrowly defined, as was the case in the past, but now provide an opening to interpret that Al-Aqsa refers to all of Jerusalem, and most recently, it refers to all of Palestine. The fact that Israel's official policy - as embodied in the decisions of the Chief Rabbinate Council, the government and the High Court of Justice - leaves the administration of the Temple Mount in the hands of the Muslim Waqf is not recognized in the contemporary Muslim world. On the contrary, "the activities of extremist Jewish entities, some of them minuscule, to revive the [First] Temple ritual, is perceived and disseminated by Palestinian sources as if it is a reflection of official policy," says Reiter. Aug. 24, 2003 update: An Egyptian government website endorses the denial of a Jewish connection to Jerusalem, via the Jebusite thesis. With both the Canaanites and Israelites becoming Arabs and the religion of ancient Israel becoming Islam, the PA takes authentic Jewish history, documented by thousands of years of continuous literature, and crosses out the word "Jewish" and replaced it with the word "Arab". For a detailed look at the Palestinian discourse, here is the discussion between Jarir al-Qidwa, head of the PA's public library and Arafat's advisor on education, and Issam Sissalem, former head of the Department of History at the Islamic University. Al-Qidwa: "Solomon's Temple, I believe, was built by the Canaanites who were the neighbors of the Israelis, the Israelites... I want to state several words clearly: the Bible became an archival document, not representing what the Israelis and the first Jews were, but what they thought they were, what they imagined. The Temple is the fruit of their imagination. In any case, when our nation or our Canaanite forefathers came to Palestine, they built the Temple... a temple in Jerusalem"
"There is no historical text that proves the existence [of the temple] or that it has a real history other than the Bible, and the Bible as we have previously mentioned... was written based on ancient legends. ... The Quran came directly from the Prophet [Muhammad]... while supporting all that preceded it in the [Biblical] Prophetic inscriptions, that, as you noted, appeared in the Quran as Muslims believing in the one and only God, and these [the Hebrew prophets of the Bible] are part of our [Muslim] heritage. They have no connection to the Imperialistic – Settlement Jews [Israelis] and nor to those that were destroyed." Al-Qidwa: "The Jewish presence in Palestine and Jerusalem ended approximately in the year 70, when Titus utterly destroyed the Second Temple of Herod." Al-Qidwa: "The issue of the temple is a Zionist innovation. No one said that the temple that was built in Jerusalem, neither the Canaanite nor Roman, no one said that it was in the place of the [Islamic] Al Haram. ... These Jews, [after being conquered by Rome] were dispersed ... among many nations. The last, after many hundreds of years, the Khazar Jews, [are the ones] who live in Palestine [ie, Israel] today. When these people started to write the Bible they found that it was written in a [foreign] language... when they reached Palestine they had no knowledge or culture." Dec. 8, 2004 update: Steven Stalinsky documents how leading Palestinian academic, religious, and political figures dismiss any Jewish connection to Jerusalem in "Rights of Jews To Jerusalem Are Denied." Ikrima Sabri, the PA-appointed mufti of Jerusalem, in an interview to Die Welt, January 17, 2001: "There is not the smallest indication of the existence of a Jewish temple on this place in the past. In the whole city, there is not even a single stone indicating Jewish history. ... There is not a single stone in the Wailing Wall relating to Jewish history. The Jews cannot legitimately claim this wall, neither religiously nor historically." Hassan Ali Khater, editor-in-chief of the Al-Quds Ash-Sharif Encyclopedia, speaking at the Zayed Center, UAE, January 27, 2002: "Israelis are falsifying history by inscribing Jewish inscriptions on rocks then calling international experts to rediscover [them] as Jewish monuments." Yasir Arafat in Al-Hayat, October 5, 2002: "They found not a single stone proving that the Temple of Solomon was there [in Jerusalem], because historically the Temple was not in Palestine." A Zayed Center report, Al-Buraq Wall not Wailing Wall, claims to show that Al-Aqsa Mosque "was built more than a thousand years before Solomon, giving evidence that refutes the Zionist allegations that the mosque was constructed on the ruins of Solomon's Temple... all of which demonstrate that the Zionist alleged rights to the wall are simply baseless." Issam Sisalem, on Palestinian Authority TV, November 21, 2004: "Jerusalem has been the capital of our capitals since the dawn of history, and will remain so. We won't share it... They say that the temple was here. What temple and what shtemple?! What archeological remains?" the Jewish presence in Jerusalem was brief (extending only 60-70 years) and does not justify Jewish sovereignty over the holy city; the Temple never existed and the Temple of Solomon, [Solomon being] solely an Islamic figure from antiquity, was at most a personal prayer room; and the Western Wall is a holy Muslim site whose Jewish connection was invented in the 19th and 20th centuries for political purposes. But there is much more – the article deserves reading in its entirety; better yet, read the whole book. June 14, 2006 update: In "Al Aqsa official: Jewish temples existed," Aaron Klein of WorldNetDaily.com interviews a Muslim religious figure who disagrees with the official line: "Unfortunately our religious and political leaders chose the option of denial to fight the Jewish position and demands regarding Al Aqsa and taking back the Temple Mount compound. In my opinion we should admit the truth." Further, the existence of the Jewish Temple at the site is obvious, he said, for "according to studies, researches and archaeological signs that we were also exposed to. But especially according to the history that passed from one generation to another – we believe Al Aqsa was built on the same place were the Temple of the Jews – the first monotheistic religion – existed." In other words, the denial of a Jewish connection is as recent as it is fraudulent. The name of this official? Not known, for he "spoke on condition his name be withheld, claiming an on-the-record interview would endanger his life." June 20, 2006 update: I take up this topic today in my column, "What Jewish Ties to Jerusalem?" These days, the cry for a Palestinian state with Jerusalem as its capital surely contains a trace of the claim that the city is holy in Islam. But essentially, the historic record shows that the actions and circumstances on which the claim is based aren't very holy at all. In fact, by any standard of religious values in any society in the world, artificially imbuing a place with holiness, through wordplay and administrative sleight of hand, constitute the very opposite of holiness. One of the most popular graffiti tags here is roughly translated, as "It's our mosque, not their Temple." You can find these words emblazoned on not only concrete walls of tenements, but also under framed pictures of al Aqsa Mosque in the offices of newspaper editors, politicians and lawyers. I first noticed it at the lobby of Cairo's medical syndicate, the Egyptian equivalent of the American Medical Association. This slogan is a way to understand Arab public opinion about the latest war in Lebanon and Gaza. There is no Jewish claim to the remains of the second temple on the base of the Temple Mount. There is only the mosque where Mohammed ascended to heaven for a brief visit. The first connection of the Jews to this site began in the 16th century.... The Jewish connection to this site is a recent connection, not ancient ... like the roots of the Islamic connection.... Who would have believed that the Israelis would arrive 1400 years [after the Muslims], conquer Jerusalem and would make this wall into their special place of worship, where they worship and pray? 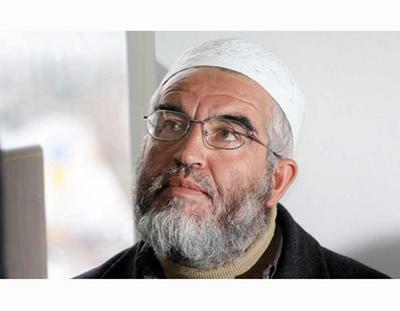 Raed Salah, leader of the Northern Faction of the Islamic Movement in Israel. The Western Wall - on all its various parts, structures and gates, and all the names these parts, structures and gates are called - is an inseparable part of the al-Aqsa compound. [It] is part of Al-Aqsa's western tower, which the Israeli establishment fallaciously and sneakily calls the "Wailing Wall." The wall is part of the holy Aqsa Mosque. Salah opposes the idea of conceding Israeli sovereignty over the Western Wall in exchange for Muslim sovereignty over the rest of the Temple Mount, accusing those who would consider even allowing Jews access to the Western Wall to be traitors. He who says that the Jews or the Israeli establishment has any right to Al-Aqsa, even to just one stone – this is an abominable attack, a falsehood, completely baseless. He among Palestinians, Arabs or Muslims who accepts this, is a traitor to Allah and his prophet." Salah is establishing his position as a known Muslim leader struggling for the al-Aqsa Mosque (he is now known as the Sheikh of al-Aqsa). ... Since his release from prison two years ago Sheikh Salah has been steadily building a name for himself as a leader for all Muslims, this despite the fact that he lives in Israel. By focusing on social issues he has won over people from the bottom up, though his followers say his humbleness, manners and simple attire also helped establish his persona as a leader. He is a daily newsmaker in the Arab media and for now, his star seems to only be rising. Oct. 25, 2007 update: Ikrema Sabri, mufti of Jerusalem in the Arafat days, has a history of outrageous statements and is at them again. There was never a Jewish temple on Al-Aksa and there is no proof that there was ever a temple. Because Allah is fair, he would not agree to make Al-Aksa if there were a temple there for others beforehand. ... The wall is not part of the Jewish temple. It is just the western wall of the mosque. There is not a single stone with any relation at all to the history of the Hebrews. May Jews ever pray on the Temple Mount? It is not the Temple Mount, you must say Al-Aksa. And no Jews have the right to pray at the mosque. It was always only a mosque - all 144 dunams, the entire area. No Jewish prayer. If the Jews want real peace, they must not do anything to try to pray on Al-Aksa. Everyone knows that. Zionism tries to trick the Jews claiming that this was part of a Jewish temple, but they dug there and they found nothing. Mar. 10, 2008 update: Raed Salah is at it again, telling a press conference today that there never existed a Jewish temple on the Temple Mount and there Jews have no historical claim to Jerusalem. "The claims of the Jews are big lies and they have no right to any speck of dust here." June 1, 2008 update: Rafiq Al Husseini, chief of staff to Mahmoud Abbas, head of the Palestinian Authority, has declared that "Jerusalem is Muslim. The blessed Aqsa mosque and Haram ash-Sharif [Temple Mount] is 100 percent Muslim." "Oh [Sons of] Zion, no matter how much you dig and no matter how much you destroy, your imaginary Temple will not come into being". The repeated refrain, "Al-Aqsa is ours," is meant to emphasize this statement, as the Al-Aqsa mosque is built on the site of the Temple, destroyed in the year 70 during Israel's revolt against the Roman Empire. The video images focus on the Al-Aqsa Mosque and praying Muslims, and together with the lyrics repeat the Palestinian fabrication that Israel is planning to destroy the Al-Aqsa Mosque and therefore it needs protection: "Oh God, protect Al-Aqsa, Oh Allah, Al-Aqsa is ours, [protect Al-Aqsa] from every thief and every oppressor." "The erasure and denial of 3,000 years of Jewish history in Jerusalem [which] is integral to Palestinian ideology. Accordingly, Israel and Jews are said to have 'no rights' to Jerusalem, and any contemporary manifestation of Jewish life and development there is labeled by the Palestinian Authority as 'Judaization.' Jerusalem is presented as an exclusively Muslim and Christian city, with no regard for historical reality." "Beyond this historical revisionism, the PA disseminates the libel that Israel is acting to expel Arabs from Jerusalem in order to further 'Judaize' the city. Fabrications include PA accusations of Israeli destruction of Islamic and Christian sites, and repeated use of PA hate language, including references to a 'criminal cultural massacre' to chase Arab inhabitants away. The Jerusalem libel is designed to evoke religious hatred by portraying Israel and the Jews as the enemy of, and threat to, Arabs and Islam." Aug. 19, 2009 update: Shamekh Alawneh, a lecturer in modern history at Al-Quds Open University, announced on Palestinian Authority television on Aug. 11 that Zionists invented the connection to the Western Wall to convince Jews to go to Palestine. Interviewer: "There are plots against this [Western] wall that seek to harm the Al-Aqsa Mosque, and there is an attack on history, theft of culture, falsification of facts, erasure of the truth, and Judaization of the place . . .."
Alawneh: "The [Jews'] goal in giving the name 'Wailing Wall' to this [Western] Wall is political. . . The Jewish Zionists had no choice but to invent an excuse [about Jerusalem] to spread among the Zionists or the Jews in Europe, to connect to something concrete from the past about Jerusalem. They made false claims and called the 'Al-Burak Wall' the 'Wailing Wall.'" Interviewer: "Can we understand that this term [the 'Wailing Wall'] and this strange [Jewish] interest concerning this place are new, with no historical roots?" Alawneh: "Absolutely. It has no historical roots. This is political terminology to win the hearts and the support of the Zionists in Europe, so they would emigrate and come to Palestine. Nothing more!" Aug. 27, 2009 update: In response to recent statements by Israel's prime minister Binyamin Netanyahu that "Jews built [Jerusalem] 3,000 years ago," Tayseer Rajab Tamimi, chief Islamic judge and highest religious authority of the Palestinian Authority, stated that no evidence supports the claim that Jews ever lived in Jerusalem or that the Temple even existed: "Netanyahu's claims are baseless and untrue. Jerusalem is an Arab and Islamic city and it always has been so." Tamimi claimed that all excavation work conducted by Israel after 1967 have "failed to prove that Jews had a history or presence in Jerusalem or that their ostensible temple had ever existed." He condemned Netanyahu and "all Jewish rabbis and extremist organizations" as liars because of their assertion that Jerusalem was a Jewish city. Tamimi accused Israel of distorting the facts and forging history "with the aim of erasing the Arab and Islamic character of Jerusalem." Sep. 25, 2009 update: In "Palestinian Leaders Deny Jerusalem's Past," Bari Weiss quotes Tamimi saying that Jerusalem is solely "an Arab and Islamic city and it has always been so"; she also quotes Shamekh Alawneh, a lecturer in modern history at Al-Quds University, that Jews invented a connection to Jerusalem: "It has no historical roots." Rather, Jews are engaging in "an attack on history, theft of culture, falsification of facts, erasure of the truth, and Judaization of the place." Weiss then goes on to explain and prove that "Jerusalem is the holiest city in Judaism," something one would not think has to be proven in the Wall Street Journal – but clearly it does. Mar. 1, 2011 update: Yitzhak Reiter has an important piece in the March/April 2011 issue of the American Interest, "King Solomon's Vanishing Temple." He looks at the history and implications of "Palestinian public discourse claims that the Jewish Temple never existed in Jerusalem," including its refusal even to "acknowledge, let alone tolerate, the universally accepted history of the city and of other parts the country." An Egyptian newspaper claimed Wednesday[, Dec. 23,] that the Jewish First Temple was in actual fact an Egyptian temple that the Jews took over, and that it had never been located in Jerusalem at all. Sprawling over almost a full page of the daily newspaper al-Youm al-Saba'a, the article presented an elaborate theory based partly on analyses of Jewish sources, with assistance from Dr. Iman Tayyeb, an Egyptian professor of Talmud and the Old Testament at the University of Assiut.